Philips launch their new 32-inch M-Line 328M6FJMB 144Hz FreeSync display, which offers a display resolution of 1440p. 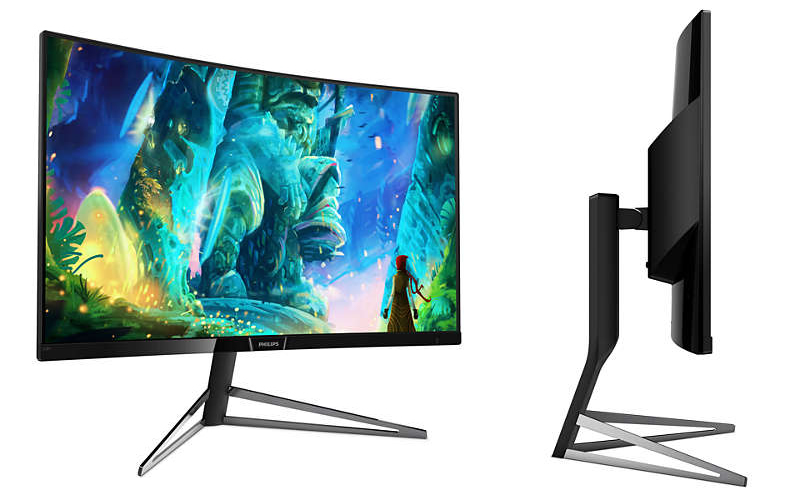 Read more on Philips' new 32-inch M-Line 328M6FJMB 144Hz FreeSync display. Even when having them on a base stand, they are still way out over the desk. I'd like to see a widescreen monitor that hasn't such a depth on their base. Also, FreeSync is supposed to work at 120 Hz, we can see it's a nerf at 100 Hz, we're not stupid you know manufacturers? I could understand if it was 4K but for a 1440 if you can't sync at at least 40 hz then you really should be upgrading your GPU. I suppose the question is why does Freesync/Gsync have a minimum limit anyways? Maybe once you get down so low tearing isn't an issue - the monitor will refresh twice before the GPU can render the next frame. Pure speculation on my behalf TBH. Considering Freesync has a range of 9Hz to 240Hz it would be nice if manufacturers started bringing out monitors with a wider range. Ultrawide 3440x1440 Quantum Dot 144Hz HDR 34" Freesync with a range of 9Hz-144Hz is the dream panel. Yep sign me up for that one.